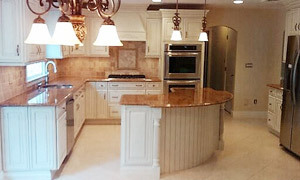 We offer exceptional Kitchen, Bathroom & Basement Remodeling, Handyman Services, Decks & more in East Hanover NJ 07936. 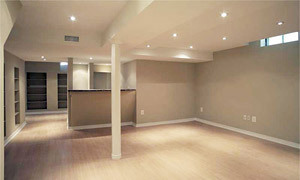 Fully licensed and insured, we've been providing first-class home remodeling services since 1998. Handyman Pros LLC is locally owned and operated in the East Hanover NJ area, so we can give you personalized one-on-one service. And with over 40 years of experience, you can be sure that your work will be completed to your satisfaction, on time, and on budget. We always make sure to clean up our work area when we're done, and we don't cut corners with our workmanship or the products we use. 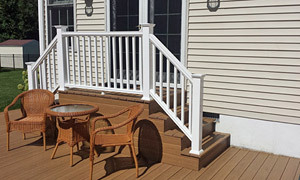 Decks - New Decks, Deck Repairs, Painting Staining & Sealing, Stairs & Ramps, etc. 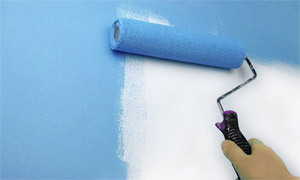 Home Repairs such as Carpentry, Electrical, Plumbing, Masonry, etc. Handyman Pros LLC, East Hanover NJ 07936. Phone 973-884-1002.